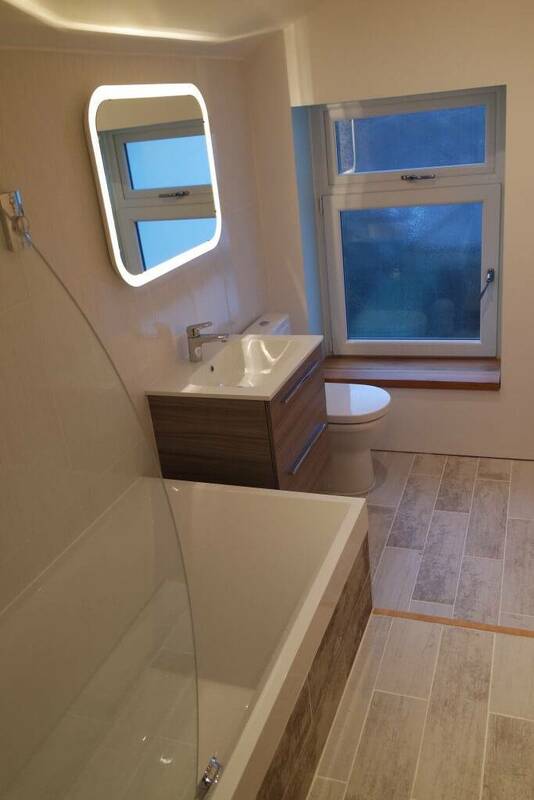 This bathroom was fully ripped out, knocked back to brick, Plaster boarded and and plastered. On the external wall, the customer was having trouble with condensation, thermal boarding was fit to raise the due point eliminating the condensation. 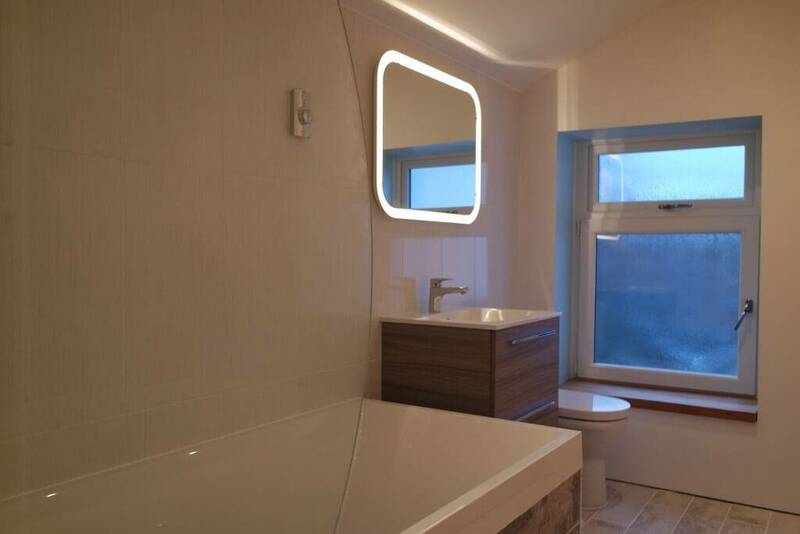 All the pipe work was hidden in the walls behind the plasterboard to give the bathroom a very modern look. 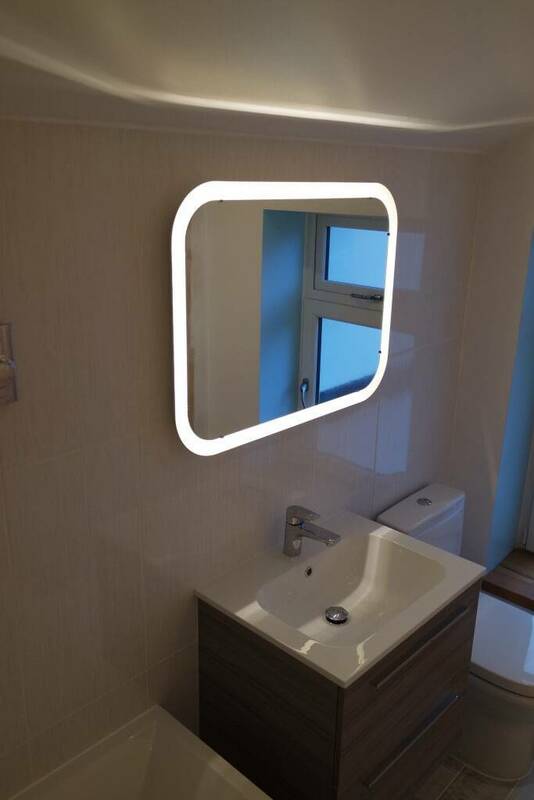 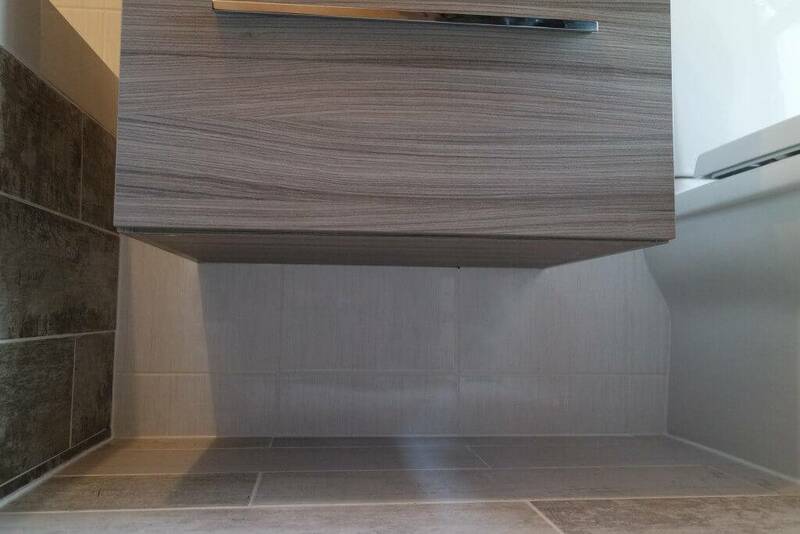 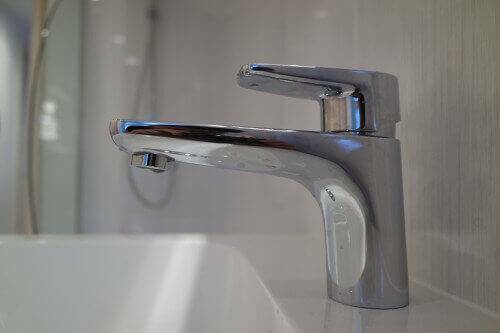 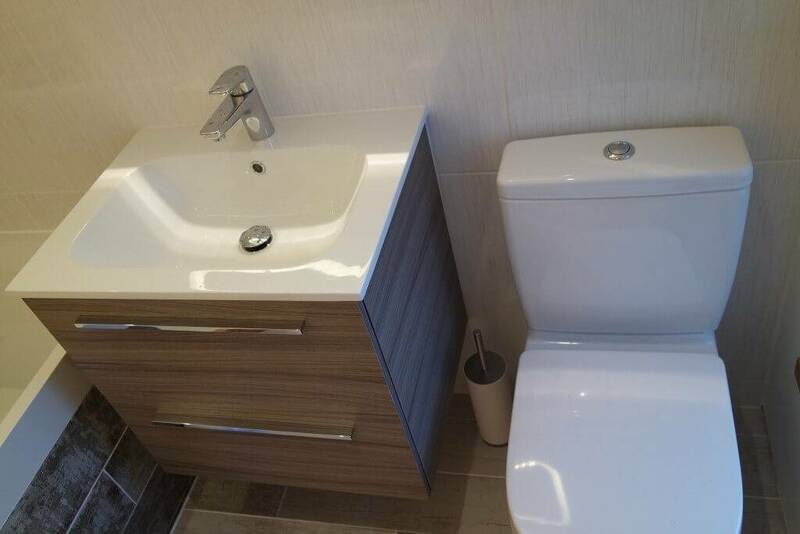 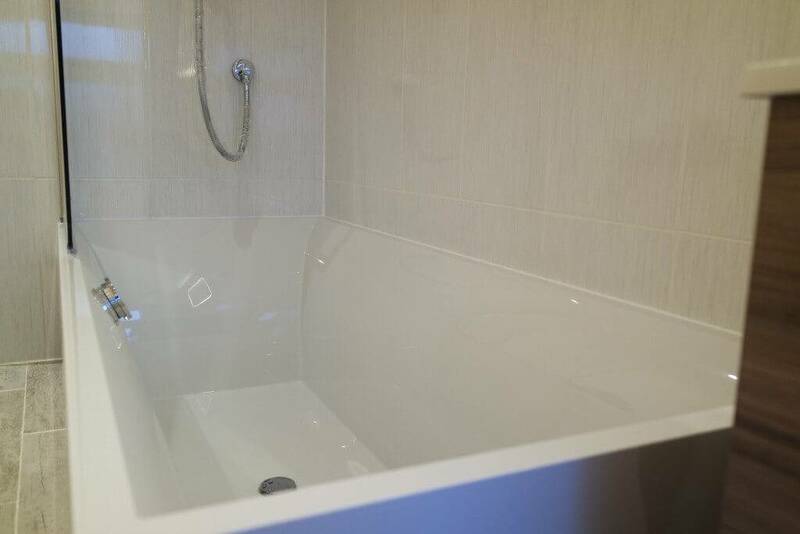 A villeroy and both bathroom suite was installed and planned in to existing pipe work. 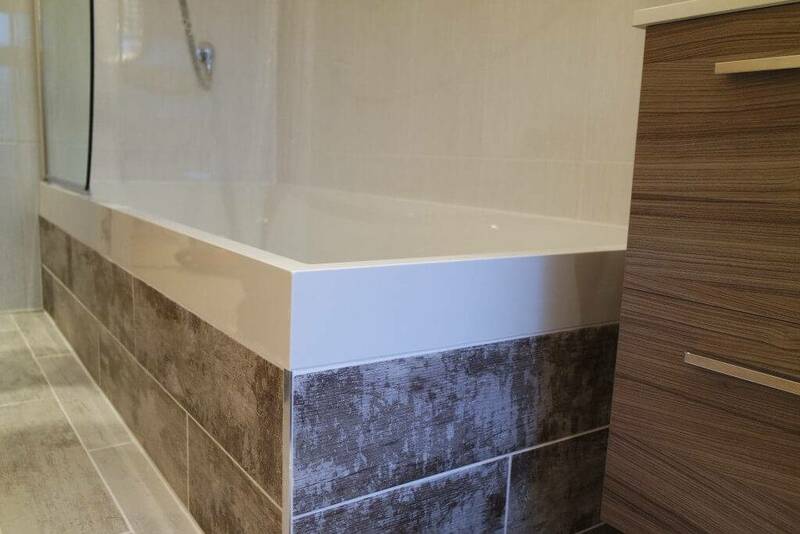 A side panel was built for the bathing tiled. 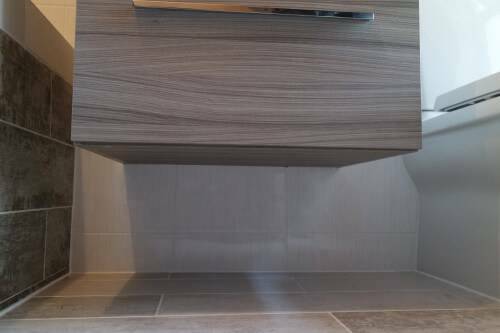 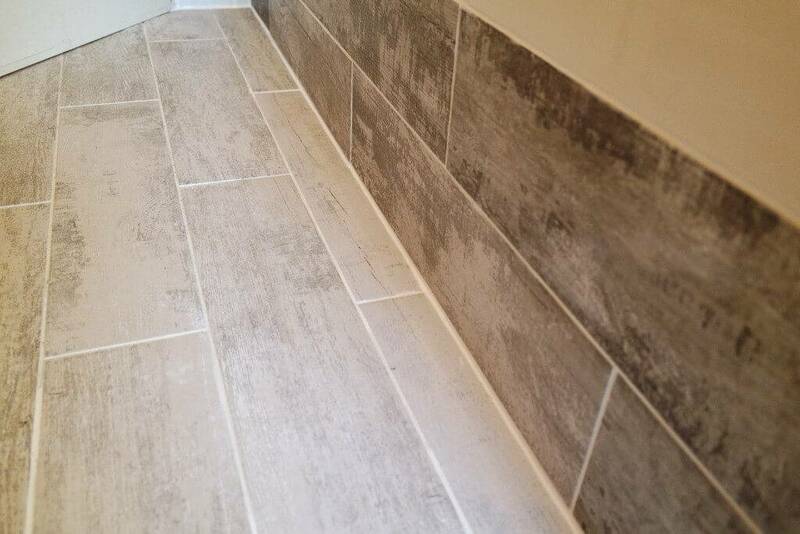 The floor was lilted with a wood effect tile running lengthways with the room and the side of the bath tiled with a slight variation of colour. 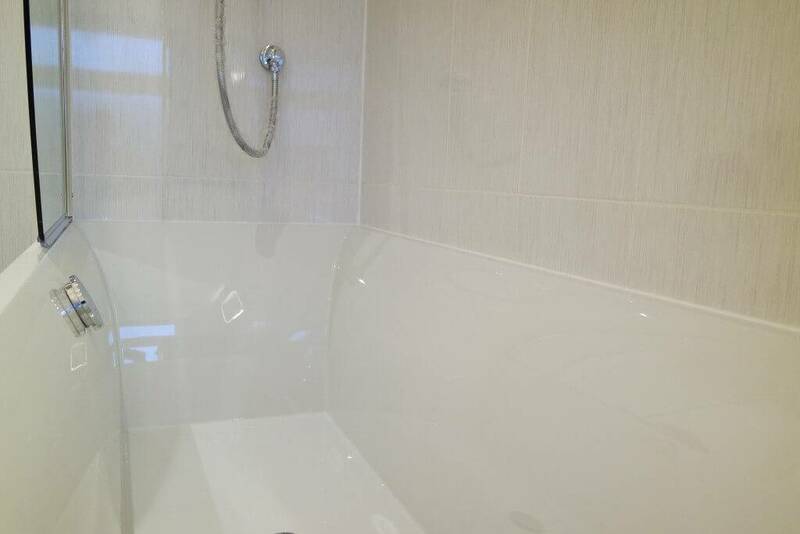 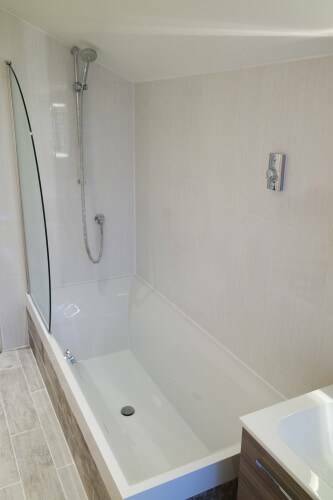 The wall around the bath and shower is tiled to protect the wall and for a splash back. 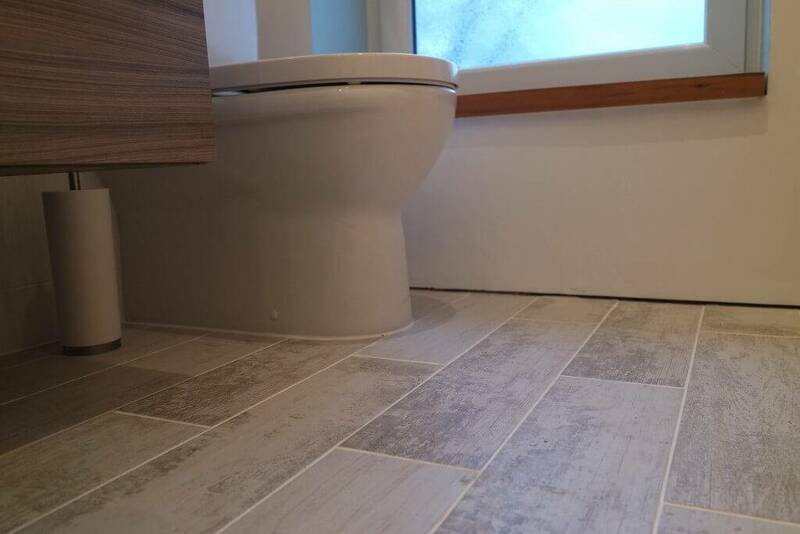 Pitch pine was used to make a feature window sill and step down to the toilet and sink. 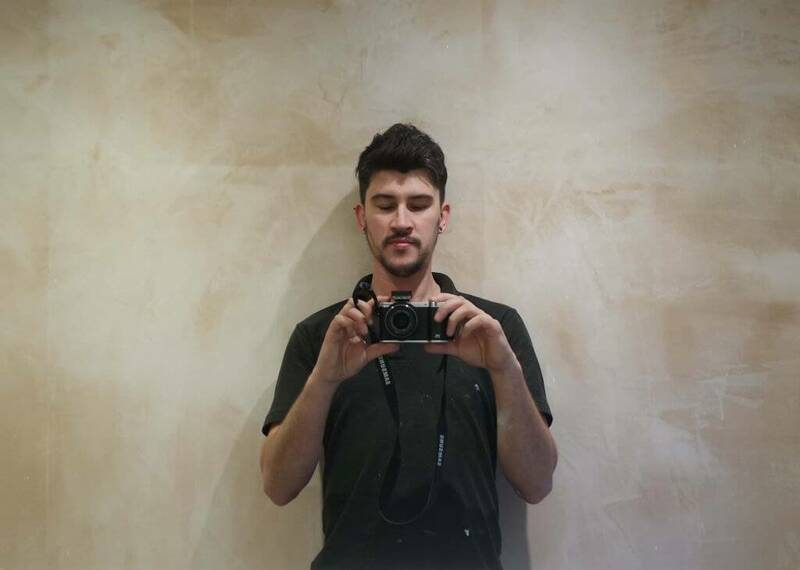 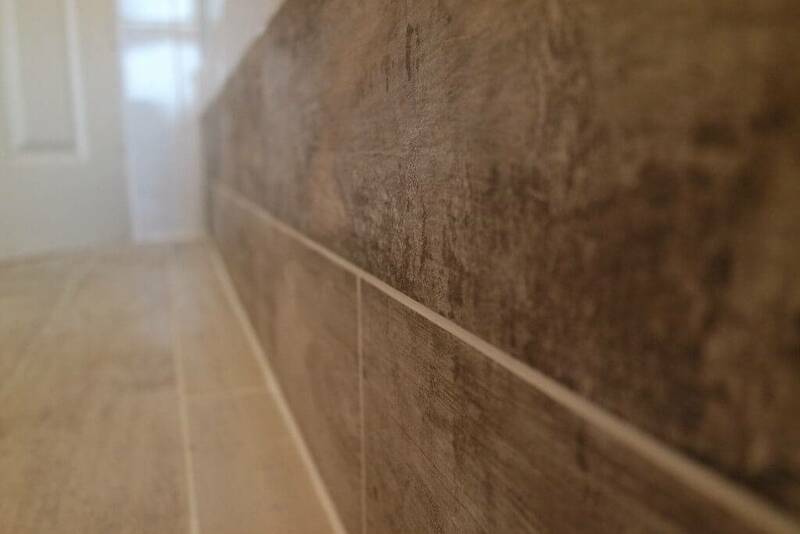 If you would like a free estimate on any tiling work or bathroom fitting please visit our contacts page and leave us a message.